The word 'Perlondon' is also printed on both labels of the release. Given the pedigree of the artists involved it's no surprise that this is one of the best releases on the label. After inviting him to record for his PAL SL imprint, Peter 'Baby' Ford teams up with Zip to form a match made in heaven. Their production styles compliment each other perfectly and the resulting tracks are deep and dark. 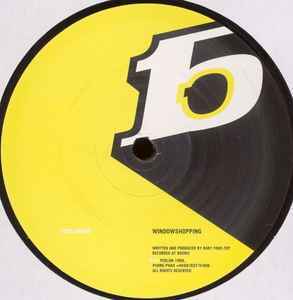 There are no filler tracks here; arguably the weakest cut on this EP, 'Vacuum Cleaner' was picked up by Hawtin for his second DE9 session. All the tracks follow a similar format; dark bass overtones, brooding beats, and sour vocals, yet somehow each track is as fresh as the next. Soul Capsule cohort Thomas Melchior provides the third track, 'Feel Sensual'. From the looped acoustics at the opening to the devilishly dark breakdowns, the track does indeed ooze sensuality. Melchior later remixed this track for inclusion on the third Superlongevity compilation, but this version is far superior in every way. Unfortunately it only took a few years for a new generation of producers to saturate the scene with unimaginative attempts at mimicking the true pioneers; Perlon themselves coming a cropper by mid-2003, but stick to the early catalogue and there are some real hidden gems on this label.